Small modular reactors (SMRs) are one of the most promising areas of nuclear energy development and reactor technology. They are designed to be smaller, both physically and in the building footprint. The SMR concepts are based on the same traditional scientific approach of a large-scale reactor using fission to generate electric power up to 300 MW. SMRs are of particular interest due to the lower capital costs and ability to supply electricity in absence of large grid systems. They will play an important role in addressing energy security, economic and climate goals thanks to greater design simplicity, shorter construction times and lower costs. World electricity production is around 25.100 TWh, and about 11% (~2500 TWh) is generated by about 450 nuclear power reactors. However, approximately 2bn people have no access to electricity, largely due to underdeveloped infrastructure. This is where SMR technologies come into play. Interest in SMR technologies is rapidly growing across the entire nuclear industry. There are more than 150 proposed SMR designs worldwide. Currently, there are several projects under construction: CAREM-25 in Argentina, KLT-40S and RITM-200 in Russia. In addition, NuScale project in the US is at the final design and licensing stage. PWR (pressurized water-water), fast neutron reactors or high-temperature reactors (mainly with gas coolant) based SMRs could be brought to life in 10–15 years. However, today we will focus on the current technology. The NuScale project named MASLWR is a built-in unit with PWR reactor type of 45 MW. The first plant is to be completed in 2026 at a site of the Idaho National Laboratory. It was developed jointly by the Laboratory and the University of Oregon. The NuScale Power Inc. was founded to commercialize the project in 2007. The project has been in development since 2000. The reactor building is designed to fit 12 SMRs. Each NuScale power unit has a thermal output of 160 MW and an electrical output of 50 MW with the plant totalling at 600 MW. The procedure for obtaining a license from the US Nuclear Regulatory Commission (NRC) began in February 2018 and the regulator is to finalize its safety assessment report by August 2020. The Westinghouse Electric Company also boasts its latest innovation in small, innovative W-SMR producing over 225 MW. The Westinghouse SMR fuel design started back in 2011 with the main concept of Robust Fuel Assembly (RFA) technology of the Westinghouse AP-1000 large-scale reactor. Preliminary design of the W-SMR project has been finalized. The plan is to manufacture units at the UK facilities and ship them over. The SMR programme in the UK is desperately needed to ensure that by 2030 it could be an important element in the revitalization of nuclear expertise in the country. The deal for the construction of such low-capacity SMR plants, estimated at USD 340 million, will help creating hundreds of jobs in the UK nuclear sector. The British government has ranked companies offering their small reactor designs. These include NuScale Power, Urenco (high-temperature gas reactor, U-battery), Westinghouse (Westinghouse SMR), Moltex Energy (Fast Molten Salt reactor), GE Hitachi (Fast Sodium PRISM), CNNC (Chinese PWR ACP-100), Rolls-Royce (PWR). Rolls-Royce is a top leader of the SMR programme in the UK, with a strong experience in SMR technologies for civil nuclear applications since the early 1990’s. The Rolls-Royce-guided UK consortium is aiming to provide its SMR supplying 220-440 MW of installed power in dependence on reactor configuration, which will boost the economy by $130bn in 2030-2050, creating ~40,000 jobs. According to the estimates, gross value added (GVA) indirect contribution of USD 93bn will be impacted to the UK economic system. Argentina is now the closest to operating a 25 MWe demonstration modular reactor. CAREM-25 is an integral type of PWR, which has been in construction since in 2014 close to the Atucha NPP. This is purely Argentinian technology and local manufacturers are expected to supply 70% of the equipment and materials. The project was developed as an energy source for regions with low consumption and could be used for desalination plants. 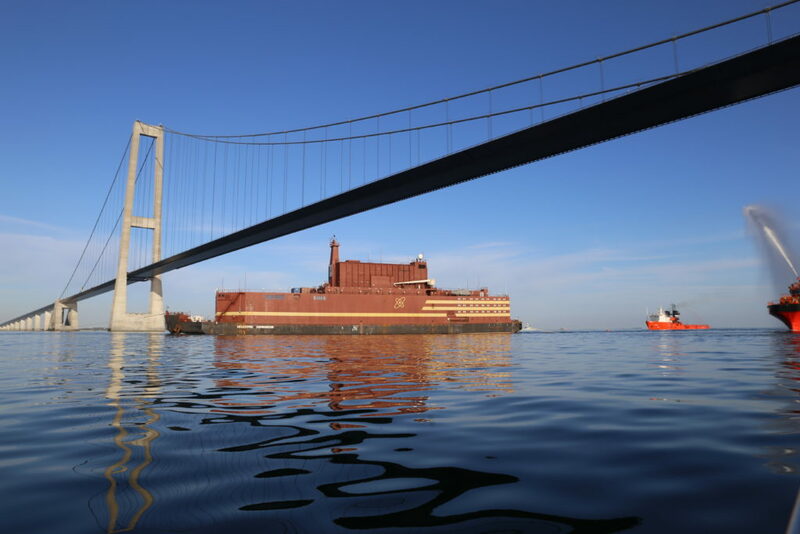 Russian Akademik Lomonosov is the world’s only floating power unit (FPU). Named after Russian scientist Mikhail Lomonosov, it is the first in the series of low-capacity mobile power units. On May 19, 2018, Akademik Lomonosov was successfully towed from its construction site at the Baltic Shipyard in Saint Petersburg to Rosatom’s icebreaker maintenance site in Murmansk. It is currently undergoing comprehensive tests. Once these are completed, the FPU will be tugged to its port of destination in Pevek, Russia’s northernmost town. In Pevek it is intended to replace outgoing capacities of the Bilibino NPP and Chaunsky CHPP. The FPU comprises two KLT-40C reactors, each of 35MW capacity, together generating up to 70MW of electricity and 50 Gcal/h of heat under nominal operation conditions, which is enough to supply power to a town of about 100,000 residents. The FPU vessel’s design ensures resistance to collisions with icebergs as well as a 7-meter wave impact and hurricane wind of up to 200 km/h, making the ship virtually unsinkable and invulnerable to natural disasters. The second generation of the FPU technology, optimized floating power unit (OFPU) is currently in the works. The OFPU will be smaller than its predecessor, yet more powerful. It is envisaged to have two RITM-200M reactors, each of 50MW capacity. This model of the floating power unit will be offered for export. It is expected to generated electricity at a cost comparable to that of diesel power plants. 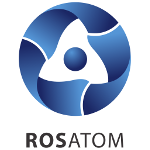 Overall, fighting for the first place in the SMR race, main power giants are in the process of justification of their first implemented projects of low-power nuclear power plants and their real economy, which will determine the volume of the market and its possible saving role for the entire global nuclear industry. Therefore, let see if there will be built one in the foreseen future.